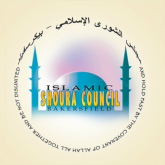 THE ISLAMIC SHOURA COUNCIL OF BAKERSFIELD WANTS YOU! All adult Muslims, male and female, are cordially invited to attend and participate in the meetings that are held every other month. The meetings are held to discuss the events, projects and affairs of our community. It is not necessary to let us know you are coming, you are welcome to "just show up." Separate seating for men and women is provided. If you are not able to attend our meetings but would like to provide some feedback to us, please submit your suggestion by sending an email to suggestions@iscob.org.